Stuffing vegetables with a filling is such a simple and budget friendly meal. Many of the filling items are things you might have in your pantry. Want some other ideas for similar meals? 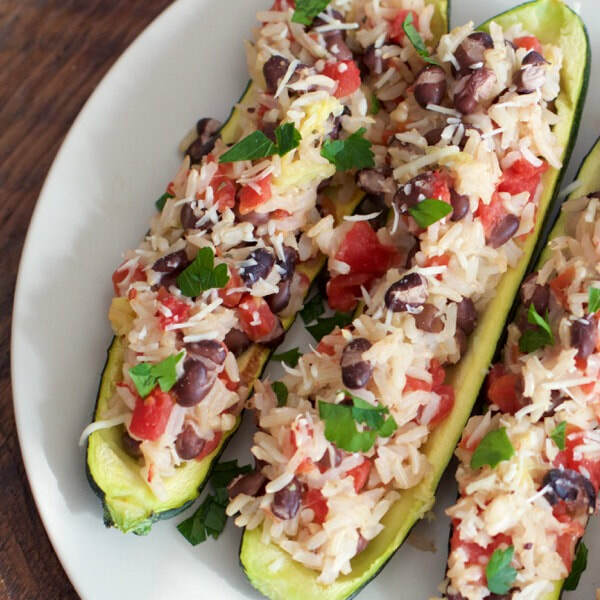 Try this Spaghetti Squash Burrito Bowl or these Southwestern Pepper Cups. Steam the squash, skin side down, in a small amount of water in a fry pan or skillet until slightly tender (but not mushy). Scoop out a good amount of pulp (1 cup). Place in a bowl and mix with rest of ingredients, except Parmesan. Place the squash shells in a baking dish. Stuff the squash with the stuffing mixture.